Below are some of the Android TV Apps to help you enjoy your Android TV! You can install the Apps from Google Playstore. 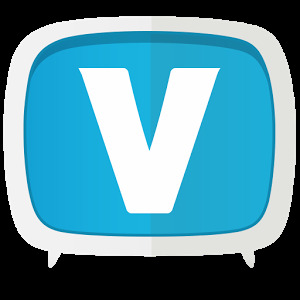 Visit the Apps for Android TV website for a list of the latest apps that are available for Android TV devices. Plex magically organizes your media libraries and streams them to any device—including all your video, music, and photo libraries. Viki keeps you entertained with a variety of TV shows and movies from Korea, China, Japan and more with subtitles. With Twitch, you can watch broadcasts of the games you love. Whether you’re into League of Legends, Call of Duty, Minecraft or even Clash of Clans! Red Bull TV takes you beyond the ordinary with exclusive video from globetrotting adventurers, new music and entertainment from trendsetting artists, and live events featuring top athletes from around the world. Find your inspiration in the world of Red Bull. Watch the latest and hottest Anime on Crunchyroll. Enjoy the current season and catch up on classic episodes of your favorite shows like Naruto Shippuden, Attack on Titan, Bleach, Kill la Kill, Blue Exorcist, Hunter X Hunter, and many more. Dailymotion allows you to find and watch the internet's most popular videos. Use staff picks and personalized suggestions to discover world class content and creators. YouTube Kids make it safer and simpler for kids to explore the world through online video – from their favourite shows and music to learning how to build a model volcano (or make slime), and everything in between. There’s also a number of parental controls, so you can tailor the experience to your family’s needs. Stream and listen to top radio hits or discover new songs with the Deezer music player on your Android TV. Over 56 million tracks and over 225,000 videos at your fingertips. Listen to your favorite radio stations for free with TuneIn. With over 100,000 stations, TuneIn has the largest free selection of sports, news, music and talk radio from around the world. Everyone can listen to the music they love for free with the Spotify Android TV app. Browse your favourite playlists, albums and tracks, using your TV remote or phone. And while you are listening to your favourite tunes, check out the beautiful album artwork right there on the big screen. 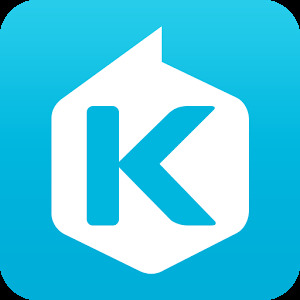 KKBOX offers over 30 million songs to enjoy the most complete Asian music library with the latest releases & news. Enjoy rolling lyrics synchronized with music rhythm and tempo for the ultimate karaoke experience. Stream the ultimate collection of concert films and documentaries from Qello. Experience live performances by artists like Queen, The Rolling Stones, The Who, Rush, Paul McCartney, Eric Clapton, Bruce Springsteen, BB King, Madonna, Nirvana, Heart, Coldplay, The Black Keys, and much more. File Commander is a feature-rich, powerful file manager that allows you to handle any file on your Android device or cloud storage via a clean and intuitive interface. You can separately handle libraries of pictures, music, videos, documents, as well as rename, delete, move, zip, convert and send files with just a few taps. It also supports Cloud accounts for: Google Drive, DropBox, Box, Amazon Cloud Drive, and Microsoft OneDrive. AirScreen app allows Apple device users to stream media content to an Android TV. AirScreen app is compatible with iOS 8·9·10·11·12 / macOS. Marvel at "World Heritage" photos captured with Sony α(Alpha) Interchangeable Lens Cameras at different time of the day. Get the most trending news videos in a headline news channel personalized for you. You’ll always have something new to watch that matches your interests and mood in Haystack TV. Get breaking news alerts and your daily digest of news from Singapore, Asia and around the world with the Channel NewsAsia app. Sony is not responsible for functionality of third party Apps. The availability of Apps can change. Some functions or services may not be available depending on the region/country. TV models and specifications are country specific and may vary.